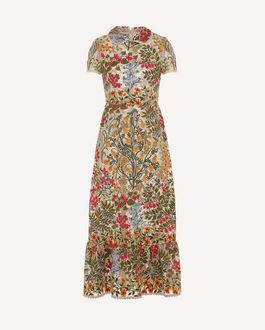 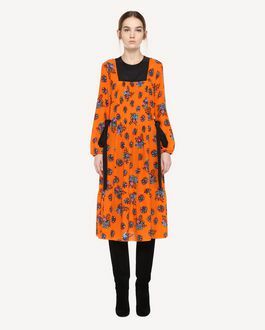 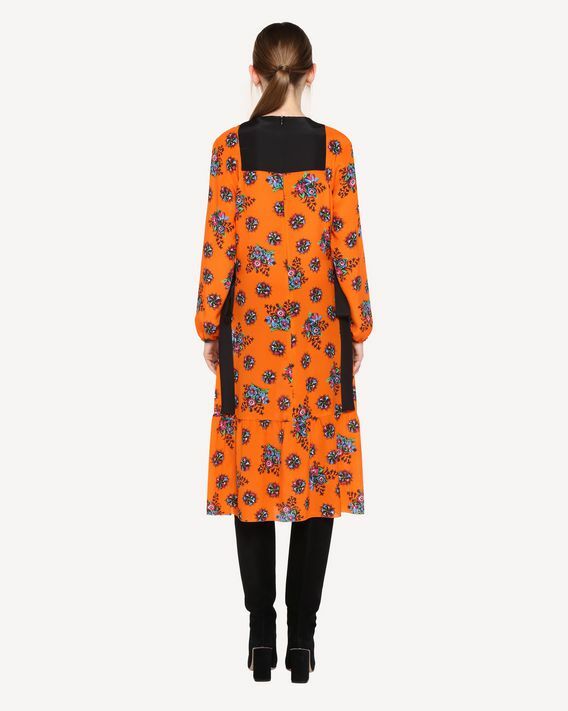 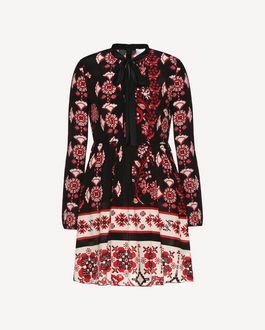 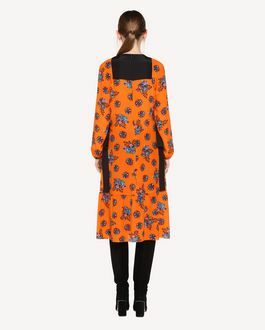 Bright Flowers print silk dress with loose fit enhanced by front pleats that create a slightly gathered look. 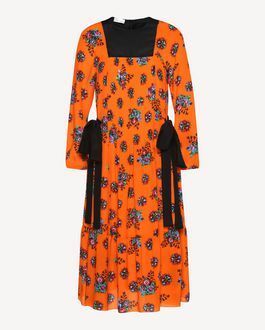 Contrasting crêpe de Chine ribbons on the sides tie in bows to create a more fitted look. - Length (Italian size 40): 110 cm / 43.2 in.